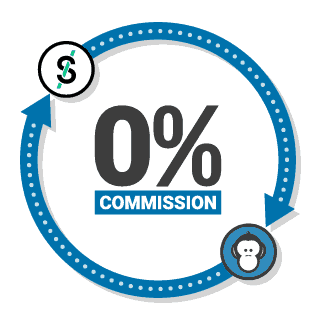 A lot of Team Profit members sign up to OddsMonkey to make matched betting quicker and even more profitable. When you first log into OddsMonkey, it can be a bit like when you first touch down at the airport, at the start your summer holiday. It looks great, you're all excited, but where to start? (besides apologising to my wife for forgetting to fill out the visa application form). To help you get started with OddsMonkey and making the most out of your Premium account, I have written the below checklist - I hope you find it helpful! 1) Who Are The Friendly Faces At OddsMonkey? 7) Profit Tracker At The Ready! OddsMonkey are a team of 24, a mix of people working in their Durham office and those working remotely from home. I went up to their office last summer for a couple of days and it's a fantastic atmosphere; with everyone working diligently on their shared passion, well, except for the odd computer screen with tough Fantasy Football decisions on a Friday afternoon. Paul and Peter - the founders of OddsMonkey and often make announcements in the General forum for new tool launches to help you. SuzyBeth, Cristiaan, Russell and Artesa - they must have 20+ years combined matched betting experience and post lots of helpful replies, advice and tips. You'll often see them in Existing Customer offers forum and the Beginner's forums. Ben, James, Steve, Ricky, Ryan - between them they have broken the record for not failing to spot an existing customer offer for over 185 days. These guys are really helpful; with posting every offer from every bookmaker in the Latest Offers forum and including all the handy links and tips. The rest of the team are all working behind the scenes on the development of the tools, providing support, sending newsletters and much much more! Say hello to the OddsMonkey Team in the Introduction Thread - they're all very friendly! The OddsMonkey OddsMatcher truly is the best matched betting tool. It helps you to identify the closest odds between every bookmaker and every exchange. This means you can keep your trigger bet losses to a minimum and your free bet profit to a maximum. Whether you're completing early Welcome Offers or a matched better with 2+ years experience, the OddsMatcher will be very helpful for you. Head to the Team Profit OddsMatcher guide to watch the video review and read the top tips. Add the free bet column in the OddsMatcher - click on Settings, check 'Show [Stake not returned %] column' then click Save. If you're still relatively new to matched betting, you may wish to skip this for now, just whilst you're getting familiar with matched betting. If you're comfortable with the matched betting process, then definitely link your Betfair account with your OddsMonkey account. This is a big time saver as you can place Betfair lay bets directly from the OddsMatcher platform - brilliant! Simply read the Team Profit Betfair integration guide and then complete the simple steps, as outlined in the integration guide. Read the Team Profit Betfair integration guide and then link your Betfair account with OddsMonkey. There are 30 sports welcome offers listed on the Team Profit website, however there are an extra 25 sports welcome offers on OddsMonkey! Once you have finished the 35 offers listed on Team Profit, work your way down the OddsMonkey Welcome Offers list and complete all the offers for £200+ profit risk free. Please note some of these offers are longer wagering or multi bet offers so will be less profitable on an hourly basis. It's up to you whether you decide to go for each one, though if you have any questions on any of the offers please do post in the Facebook Group, cheers! Complete the extra 25 sports welcome offers in the OddsMonkey Welcome Offers list. Bingo welcome offers are a great way to make extra profit. I'd definitely recommend working through the Bingo offers as many members report making a £100+ profit from just a handful of offers. They are not risk free, but still low risk and overall you will likely make a £100 to £200 profit from these offers. Read the Team Profit Bingo welcome offers guide. Read the OddsMonkey Bingo community threads and complete the bingo welcome offers. Casino welcome offers are another very good way to add another £100+ profit to your bankroll. Casino offers range from simple 'no deposit free spins' offers to 'deposit bonuses'. I would definitely recommend starting with the no deposit free spins offers whilst you learn the ropes on casino offers - this means you can learn completely risk free and hopefully make some profit too! Complete the Casino Welcome Offers - initially the no deposit free spins offers, then move on to the deposit bonuses. Use the Casino community threads as needed for each offer. Big congratulations you have now completed every possible Welcome Offer! You can use your OddsMonkey account to profit risk free from the Weekly Offers (existing customer offers) too, let's crack on! Firstly to mention you can track your Weekly Offers profit using the OddsMonkey Profit Tracker. You can then review your monthly profit and profit by offer type, very handy, definitely check it out and decide if you would like to use it, I recommend doing so! For your Welcome Offers, I would recommend using the Team Profit spreadsheet as this tracks all your bookmaker & exchange balances too plus shows every offer, one by one. Watch the OddsMonkey Profit Tracker video guide then access it on the Profit Tracker page. Your OddsMonkey account will be very helpful for all 7 of these type of offers! Before starting these offers, I recommend reading up on the best approach as shown the in the checklist below. Read the Team Profit How To Make £100, £250, £500 or £1000 guides based on your monthly profit goal. This OddsMonkey 'how to make a decent profit each month' thread will be helpful too, plus the monthly profits thread, here is September profit thread. Weekly Clubs are one of the easiest ways to profit risk free every week! You can see a breakdown of the Weekly Clubs I often complete in the Team Profit Weekly Clubs guide. To help you complete the clubs as quickly as possible, you can set up a filter in the OddsMatcher for the SkyBet, Coral, Paddy and Betsafe free bet clubs as these all require just placing normal trigger bets. A filter set up for each free bet clubs means you can instantly see the closest odds for your trigger bets every week! 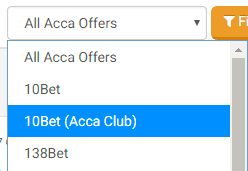 You can also use the Acca Finder for the accumulator free bet clubs, the Acca Finder includes a pre-set filter for each accumulator free bet club, making these offers quicker to do. Set up your filters in the OddsMatcher for each of the easy free bet clubs, such as Coral, SkyBet, Paddy Power and Betsafe. See Tip #2 for details. Use the Acca Finder preset dropdowns to help you complete the acca clubs quicker. Risk Free Offers (e.g. Bet £10 Get £10, £10 Refunds, Price Boosts and more) are always running on the weekend football and mid-week football too, especially when there is mid-week Champions League or Europa League. You can find some of the profitable risk free offers in the Team Profit Weekend Offers and Champions League Offers blog posts. However, to get every bookmaker risk free offer, you should definitely subscribe to the Latest Offers Forum - this means you get a notification of every new offer! I also recommend setting the Daily Offers Calendar to Sort by 'Profit (highest first)' to ensure you also take up the most profitable offers. Set up your notifications on your laptop and/or mobile for every new offer posted in the Latest Offers Forum. See Tip #1 for details. Sort the Daily Offers Calendar by Profit (highest first) to ensure you complete the most profitable offers. Read the Team Profit Price Boost guide and then subscribe to the OddsMonkey Price Boost thread. See Tip #3 for details. Football Refunds offers are not guaranteed profit risk free offers, however they are profitable in the long term by choosing teams with close odds. I recommend learning these offers one by one by reading the OddsMonkey threads. These offers are usually available every weekend plus midweek Champions League football. The OddsMatcher is ideal for finding the close odds, plus you can set up email alerts and a notification for a close odds thread. Read up on the Bet365 and Paddy Power 2 Up offers in the OddsMonkey Bet365 2Up thread and Paddy Power 2Up thread. Then try out entering 2Up into the OddsMatcher search box to see the closest odds. Always use the OddsMatcher to find the closest odds which is key for refund offers! Set up a notification for the close odds thread, see Tip #4 for details. Save filters in the OddsMatcher for the football refunds you do and then set email alerts, see Tip #5 for details. Football Accumulator Refund offers can come across a bit daunting but they really are not! It will take around 60 minutes to read through the various guides on the Team Profit website, then you'll be all systems go to use the OddsMonkey Acca Finder (for lay sequential methods) or Acca Builder (for lay all at start and no lay). So make yourself a nice cuppa, get the digestive biscuits ready to dunk, and start reading through the Introduction to Accumulators 2017-18 guide. Read the Introduction To Accumulators 2017-18 guide and the follow-on guides that are mentioned in the 2017-18 guide. If you decide to start with the Lay Sequential Lock In method, then use the Acca Finder. Instead if start with lay all at start or no lay (risky), then use the Acca Builder Lay All or Acca Builder No Lay. Horse racing offers are particularly good on Saturdays with the televised ITV racing. It is very helpful to know the basics too so you can take full advantage when the big racing festivals come on, such as Cheltenham (March), Grand National (April) and Ascot (June). Extra place offers e.g. payout if your horse top 4, rather than just top 3. Start by reading the Team Profit guides and then become familiar with the tools! Read the TP Racing Refunds guide and Liew's brilliant Saturday ITV Racing guide. To see the offers today, check out the daily thread in the Latest Offers forum. Try the Racing Matcher (TP guide) as well as checking manually shortly before the race, as advised by Liew. To find the closest odds for Extra Place offers, the Extra Place Matcher is brilliant! Watch this video review and then get cracking with offers! Casino offers are a popular way among experienced matched betters to boost their monthly profits. The reason is there are quite a lot of casino offers available so the profits can easily add up to £100+ each month. The only downside with Casino offers is they are not risk free so only complete an offer if you're comfortable with the potential loss. There are some very low risk offers which I would recommend starting with. Read the below guides, you don't need to read them all at once! OM is a casino offer worth doing? To find today's Casino offers, check the Daily Offers Calendar, sorted by highest profit to see the most profitable offers. Receiving the 'Account Information' gubbing email is never fun, but it's all part of being a matched better! You can still profit from bookmakers after being gubbed as explained in the OddsMonkey community. Read this Each Way Value thread, it's not risk free and is a bit complicated initially but it is a profitable strategy, hence almost 5,000 posts! If you are new to Each Way betting, the Pingus FAQ guide will be helpful too, a long read but worth it! Read the TP Dutching guide and try out the Dutching Matcher. If you are gubbed on Bet365 check out this Bet365 gubbed racing offer thread to see how you can still profit. Below are a list of extra tools and tips you may find handy, hope you enjoy them, especially the free stickers! The Profiting Today thread is an interesting thread to see which offers an experienced matched better is focusing on each day. Get your free OddsMonkey stickers - it won't make you any profit but it could be a great opener with the ladies/gentlemen in the coffee shop "hey I see you also use OddsMonkey....fancy sharing this croissant with me?" Been gubbed? Rant away in the gubbed thread! There are 4 tennis majors every year - Australian (late Jan), French (early June), Wimbledon (early July) and US Open (early Sept). You can profit from this using the Tennis Matcher, just check out the TP guide first. There are 3 ways to reach out to OddsMonkey should you have any questions anytime. Combining this with the Team Profit Facebook Group you'll be in excellent shape to smash the bookmakers! If you have joined OddsMonkey in the past 30 days, you can receive 30 minutes of 1 to 1 training! 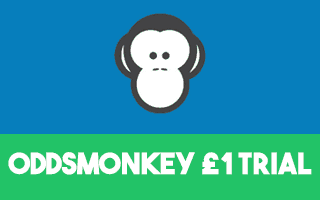 If you have not yet joined OddsMonkey, you've just read 17 great reasons to join!